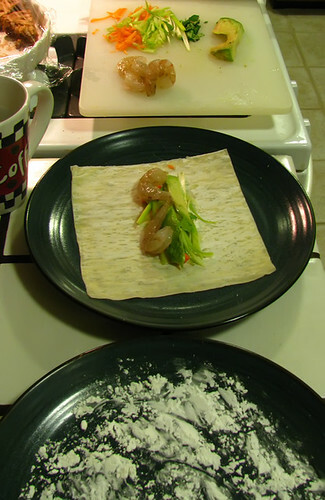 This entry was posted on January 19, 2010 at 2:14 PM	and is filed under Appetizers, Asian, Main Course, Seafood. Tagged: appetizer, basil, cooking, food, hors d’oeuvres, shrimp. You can follow any responses to this entry through the RSS 2.0 feed. You can leave a response, or trackback from your own site. This looks so yummy! 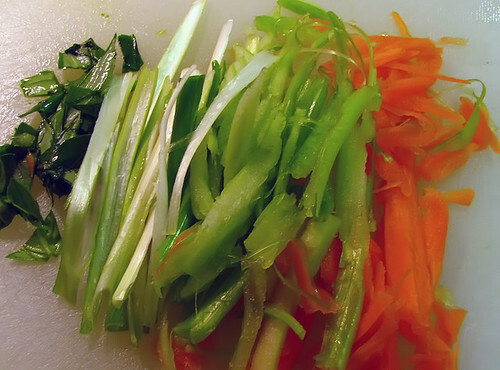 You always do great things with the asian cuisine – I just love it! Thank you so much, Glinda! Very delicious rolls. I would love that with chili sauce. Great for any time. Thank you, M2! I mixed the chili sauce with the plum sauce … MMMMmmmmm!! 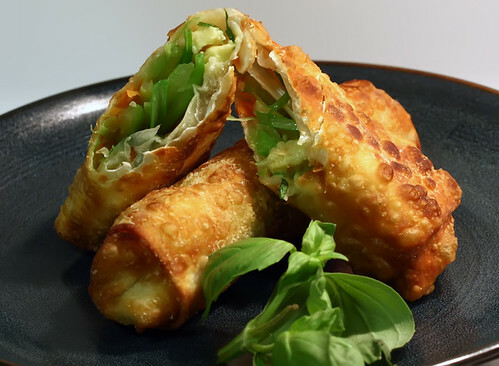 You have made egg rolls in a whole new level. 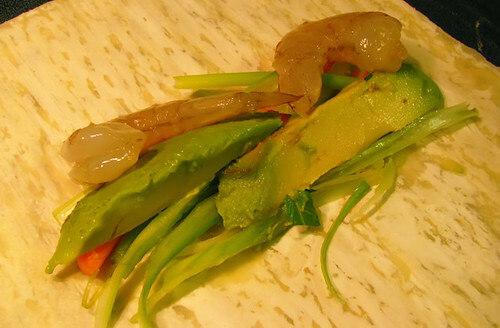 I never thought of putting avocados in egg rolls, it must taste really good with shrimps. I’ll give this for sure a try. Thank you so much, Victor! Let us know how it goes. Is this low fat? Please tell me it’s low-fat. It doesn’t even have to be, just tell me that it is so I can make this and eat every single one. Looks SO good. I’m making these this weekend. 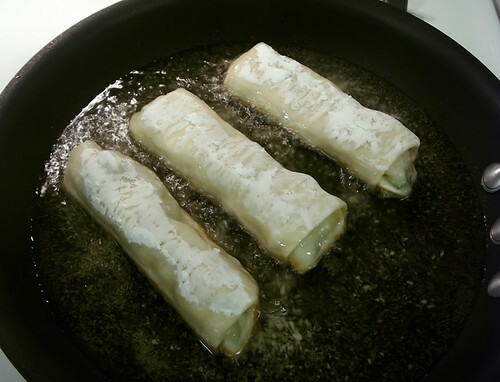 My husband loves egg rolls. Mine don’t turn out as pretty as yours. Believe it or not, I fry the hubby’s and bake mine. They don’t turn out as crispy, but I spray them with a bit of cooking spray and cook them in a hot oven (it’s the Weight Watchers person in me). I’ll admit I prefer his! Let us know how it goes, Momma Rim! BTW, just a thought … perhaps instead of spraying the baked ones, try brushing them with a little Olive Oil. It’s just as healthy, and since it tends to burn at lower temps than regular oil, it might give it that Golden Brown crispiness that frying does. Mind you, I haven’t tried this in practice. But, it seems like it might work. This looks really good! I might need to make my own egg roll wrappers and plum dipping sauce though, none available in Bulgaria. Thanks, Casey! Never thought about supply problems in other countries. Though, I see plenty of recipes for both on the web. Let us know how it goes if you give it a try. I am not sure about the fried avocado part but I would try once. I love rolls in general and I think these would be great with an avocado based dip or soy sauce. I have a thing for soy sauce! The Avocado doesn’t actually get fried. And, it really goes quite well in this one. Give it a try, Viviane! Though, an Avo-dipping sauce sounds really good.